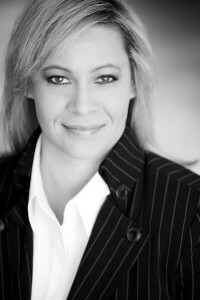 Hunter is best known for her years as a public relations executive, professional journalist and editor, having enjoyed staff and freelance affiliations with several news organizations throughout Washington and Florida. Her feature projects are regularly published in a variety of national, regional and trade publications, including The Florida Times-Union, The Richmond Times-Dispatch, The Daily Press, The Triangle Business Journal and New Home Guide Magazine. She has been an expert public relations and business source on topics presented by CBSNews.com, Youtern.com (TheSavvyIntern), TheGrindstone.com, CareerBliss.com, NeverPink.com, PMQ Pizza Magazine and The St. Augustine Record. With a journalism and PR career spanning 20 years, Hunter’s diverse industry experience includes everything from politics and law to news and entertainment. Her stint as a sports reporter, however, was a career highlight. As a highly sought-after business writer, Hunter brings her media experience, as well as a “Who’s Who” of media contacts, to various business markets for outstanding results. Hunter has a Bachelor of Arts Degree in Journalism from Western Washington University. Her public relations work at the Four Seasons Olympic Hotel in Seattle gave her valuable insight into the practice of five-diamond-level customer service. With a keen understanding of newsworthiness and the importance of strategic thinking, Hunter knows how to positively impact her clients’ bottom lines. She personally oversees the strategic development and implementation of all client campaigns and visibility programs. She’s often called a PR industry trendsetter and “right-hand pro.” Hunter’s experience as a communications professional – most notably her thorough research, careful attention to detail and excellent promotional skills – continues to set the high standards of Hunter Valmont PR’s award-winning team.